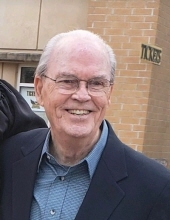 Philip Lane, age 78, of Cohutta, passed away Friday, March 22, 2019 at Hamilton Medical Center. He was preceded in death by his parents, Urie and Willie Lane; sister, Moena Denney; and brothers, Tom, Harold, Henry Grady, and Billy. He enjoyed woodworking, designing and building home projects, playing the banjo, and spending time with his family and pets. He is survived by his loving wife, Laurie Cosby Lane of Cohutta; one daughter and son-in-law, Rebecca and Jim Rabon of Raleigh, N.C.; three sons and daughters-in-law, Philip Jr. and Dawn Lane of Dallas, Michael Lane of Lilburn, Jonathan and Ashley Lane of Canton; two sisters and brother-in-law, Frances and Ed Long of Dadeville, Al. and Phyllis Lucas of Bainbridge; one sister-in-law, Ruth Lane of Denver; and brother-in-law and sister-in-law, Bill and Phyllis Cosby of Dalton; grandchildren, Philip III (Luana) and Ansley Lane, Justin and Nicholas Lane, Gavin Killebrew and Holly Rabon, Henry, Lily and Cosby Lane; and nieces and nephews. A memorial service will be held for Philip Lane on Saturday, April 6, at 2 p.m. at the Pleasant Grove Chapel of Julian Peeples Funeral Home. The family will receive friends at the funeral home Saturday, April 6, from 12-2 p.m.